Although the overall incidence of infertility in the general population has remained largely stable, the past thirty years have witnessed a significant change in the demographics of fertility and childbearing in the United States. Among women aged 35 to 39 years, the number of first births increased by over 35% between 1991 and 2001; the rate among women 40 to 44 years of aged rose by 70%. Due to favorable, and often incomplete, media coverage of advanced maternal age, many women believe that there are few biological contraindications to delaying childbearing. Others defer conception in order to pursue other goals, unaware that their fertility potential will diminish over time. A recent article in the New England Journal of Medicine (L. Heffner, Nov. 2004) highlights the impact increasing maternal age on pregnancy and miscarriage rates, and maternal-fetal outcomes. In addition to emphasizing the significant decrease in pregnancy rates with increasing maternal age, Dr. Heffner also highlights the risk of adverse outcome. For example, miscarriage rates rise almost exponentially with age: less than 10% in 20 year olds, to more than 90% in women > 45 years old. Concomitantly, there is a risk of increased chromosomal abnormalities (aneuploidy), such as Down Syndrome, with increasing age. These phenomena have largely been ascribed to deterioration of oocyte or egg quality with advancing age. Dr. Heffner suggests that the decade between 25 and 35 years of age appears to ideal for planning conception from physical and social standpoints: women in this decade tend to be healthy, and have completed most educational or vocational training. This is also the time of optimal fertility. However, women older than 35 now have many new options available, including advances in fertility treatments such as in vitro fertilization (IVF), oocyte donation, and gestational surrogacy. PGD can help to decrease the risk of the most common chromosomal abnormalities. Women interested in pursuing fertility later in life may benefit from the care of a fertility physician who can provided the most advanced treatment options to result in the highest pregnancy rates; lowest waiting time to pregnancy; as well as to address important issues such as aneuploidy. 请于下方输入验证码* 3 + 4 = ? When does a woman’s fertility start to decline? Fertility specialist Dr. Mark Surrey, co-founder of Southern California Reproductive Center, explains when a woman’s fertility is at its peak, and when it starts to begin to rapidly decline. Many women in their early forties want to have children. 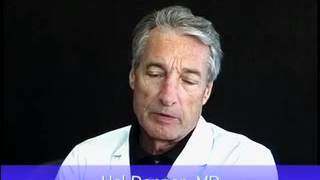 Fertility specialist Dr. Hal Danzer, co-founder of Southern California Reproductive Center, talks about the problems faced by women who want to conceive in their 40’s. Q. Are women between 35-40 still fertile? Fertility concerns of women ages 35-40 debunked – a woman is born with all the eggs she’ll have in her lifetime. As women age, the chances of conceiving start to drop off significantly starting in their 30s. It’s a statistic that concerns many women 35 and older. But Jean Twenge, author of the article “How Long Can You Wait to Have a Baby?” in The Atlantic says women in this age group don’t need to panic. “That period between 35 and 40 is more fertile than many people believe,” she said. Twenge, who had her third child at 40, says much of the research women fear the most is based on old data.